Window technology has come a long way in the past 20 years. With the gradual evolution of the underlying technology, windows have branched out to serve a number of different roles depending on use. Within the average Illinois home, vinyl windows are proving to be the most effective for a number of reasons. Lets take a moment to examine how vinyl windows can improve your experience at home as well as the overall value of your home. In addition, we will look at a company you can rely on to get the job done effectively. The vinyl window itself has a low E coated glass that is filled with argon gas. In addition, there is an NFRC U-rated .27 or below, along with triple weather stripping on sashes for less air filtration. What all of this means is that your windows will be better at keeping your internal temperature from escaping, saving you big on heating and cooling costs. In addition, the stripping provides enhanced noise reduction, improving the quality of life inside your home. With no chance of termites, child resistant safety locks, easy tilt-in cleaning, and no chance of condensation, it is easy to see how these windows are quickly becoming the most popular vinyl window replacement, La Grange IL. Best Windows Inc. has set itself above the competition for providing and installing vinyl windows across the greater La Grange IL area. With recognition and awards including the Kensington High Performance Windows Dealer of the Month and four years in a row of Angies Super Service Award, Best Windows Inc. continues to make a name for itself through its core business values. 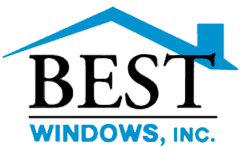 Emphasizing customer service, quality service, the best products, the best warranty, and the fastest delivery, Best Windows Inc. will make sure your window replacement experience is professional and quick. Here at Best Windows Inc., we understand that our reputation as a company is only as good as the service we provide for you. Along with the benefits of the vinyl windows we sell and the superior service we provide each and every client, we will not be satisfied with our job until you are completely satisfied as well. From beginning to end, this will mean that we will work with you to meet your needs, address your concerns, and provide a level of service that is far and above the best. Please feel free to give us a call at (708) 204-2446 or fill out a form on our website where we will be able to get back to you via e-mail. 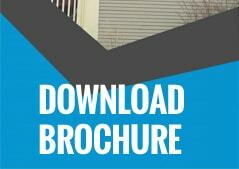 You may also visit our website Best Windows for more information about vinyl window replacement La Grange IL.